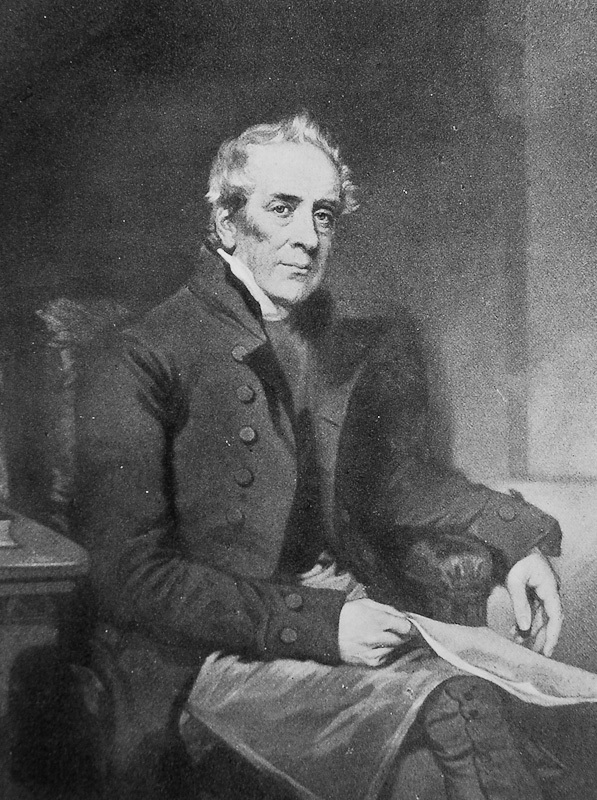 F. G. Lee’s biography, Memorials of the Late Rev. Robert Stephen Hawker (Chatto and Windus, 1876), includes a ‘Pedigree of Hawker, of Devonshire and Cornwall’. This provides some useful background regarding the ancestry of the man best remembered by many as the author of the Cornish ‘national anthem’. According to Lee, Hawker’s great great grandfather (recorded by him as James Hawker but referred to elsewhere as John; Hawker’s father, Jacob, is also named incorrectly here as James) was a ‘Surgeon and Alderman of Exeter. Sheriff, 1742; Mayor 1744′. A search of the web provides a little more detail. On 6 May 1714, John Hawker married Mary Rowe at St Olave’s Church in Fore Street, Exeter. The baptisms of their five children are also recorded at St Olave’s: Richard (1716), Elizabeth (1717-1804), Mary (1721-1811), Jacob (1722) and John (1731). The Exeter Memories website records John Hawker serving as Mayor in 1744. Exeter in 1888. St Olave’s Church can be found just above the ‘A’ in ‘St. Petrock Ward’. 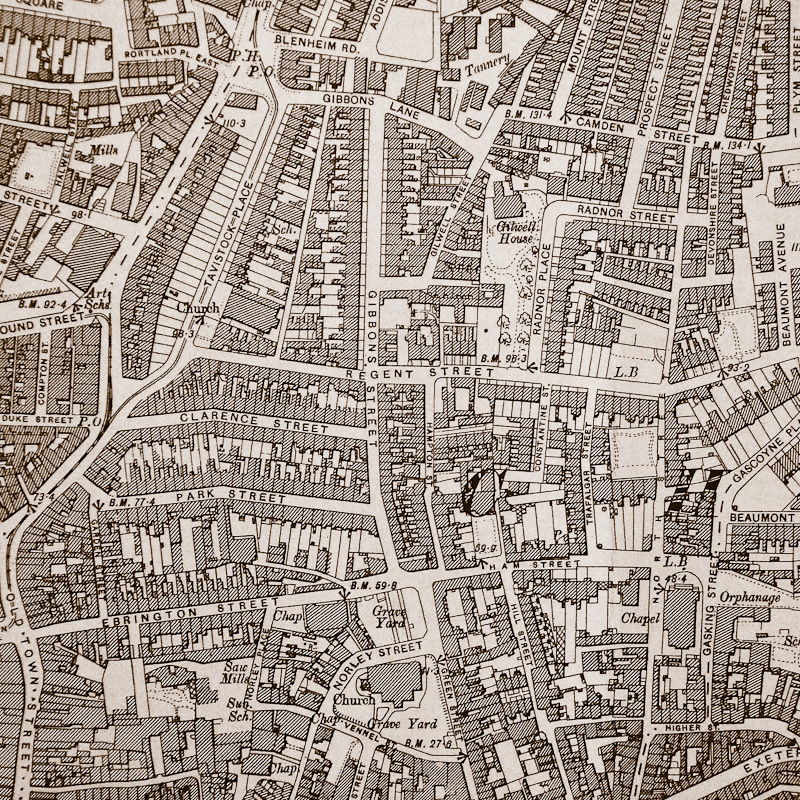 The junction of West Street and Stepcote Hill can be found lower centre. On 1 August 1749, Jacob Hawker (born 1722) married Sarah Smith at St Mary Steps, West Street, Exeter. Two children of the marriage, Thomas (1750-51) and Robert (1753), are recorded as having been baptised here. probably dating from the 1930s. St Mary Steps church stood just inside the old West Gate. Until the 1770s a narrow street known as Stepcote Hill was the main route into the city from the river – in the above picture the entrance is hidden behind the projecting building to the right of the church. According to Exeter Memories, William of Orange rode into Exeter by this route in 1688, on his way from Brixham to London. 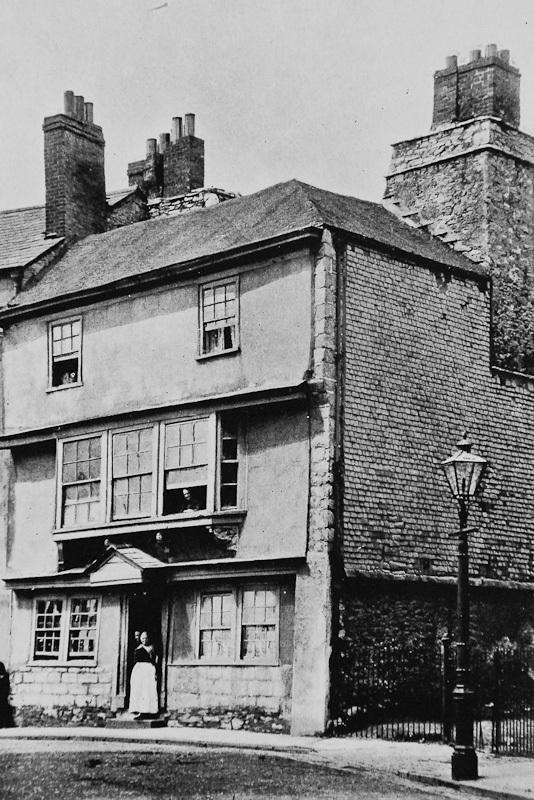 In the 18th century the hill was lined with the houses of wealthy merchants but the area gradually declined and by the time this picture was taken it had become a notorious slum with some of the worst living conditions in the south west of England. For anyone who would like to know more about the architectural and social history of Exeter an excellent website, Demolition Exeter: a Century of Destruction in an English Cathedral City, is recommended. The articles on ‘The Slum Clearance of Stepcote Hill’ and ‘West Gate, West Quarter’ are of particular interest in this instance. from The Life & Letters, by C. E. Byles. Returning to F. G. Lee’s pedigree we find ‘Robert Hawker, only son, the celebrated Calvinistic divine and preacher, born circa 1753. Matriculated May 27, 1778 at Magdalen Hall, Oxford. Clerk in Holy Orders. D.D. Edinburgh. 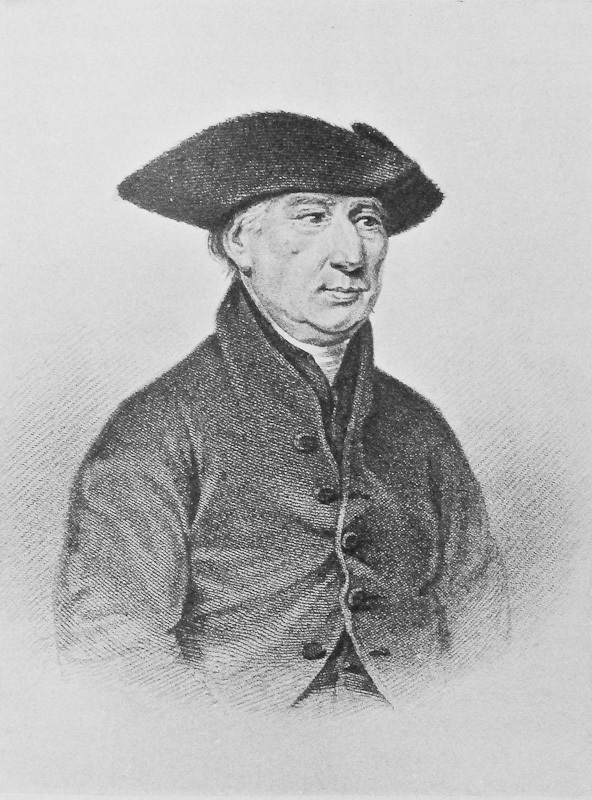 Vicar for fifty years of Charles Church, Plymouth.’ Robert Hawker married Anne Rains (not Hannah Baynes as shown on F. G. Lee’s pedigree) in 1772, ‘when their combined ages did not exceed thirty-six years’. The couple had eight children. Their second son, Jacob Stephen, married Jane Elizabeth Drewitt, originally from Winchester, and their first child, Robert Stephen Hawker was born in his grandfather’s vicarage at 6 Norley Street, Plymouth, Devon, on 3 December, 1803. A few years after Robert’s birth Jacob Stephen Hawker abandoned the medical profession and took Holy Orders. His first curacy was at Altarnun in Cornwall but Hawker’s biographers all agree that the couple left their eldest boy to be brought up in the home of his grandfather and grandmother where his boyhood high spirits and practical jokes became notorious in the neighbourhood. After running away from several preparatory schools he was given a place at the Grammar School at Liskeard. By this time his family had moved to Stratton in North Cornwall and Hawker joined them there during his holidays. After leaving school he returned once again to Plymouth and took up employment with a solicitor there. Plymouth (North) in 1893. 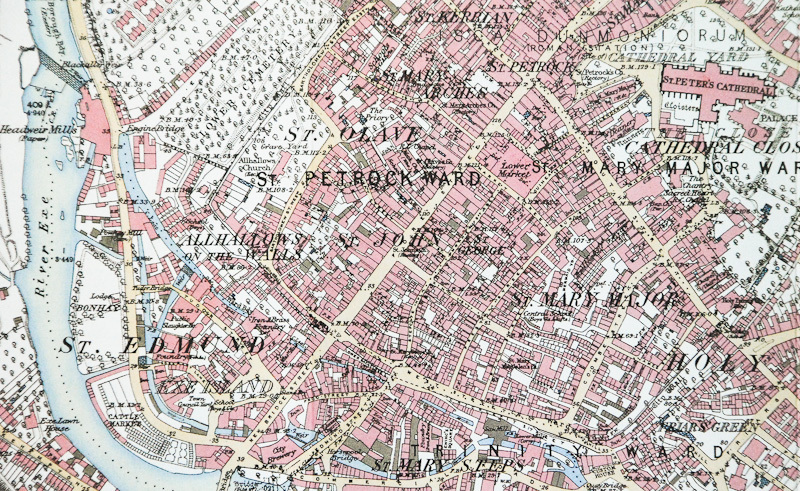 Charles Church and Norley Street are at the lower edge of the map. BISHOP PHILLPOTTS of EXETER (in 1851). After a mezzotint engraved by William Walker from a painting by T. A. Woolnoth. 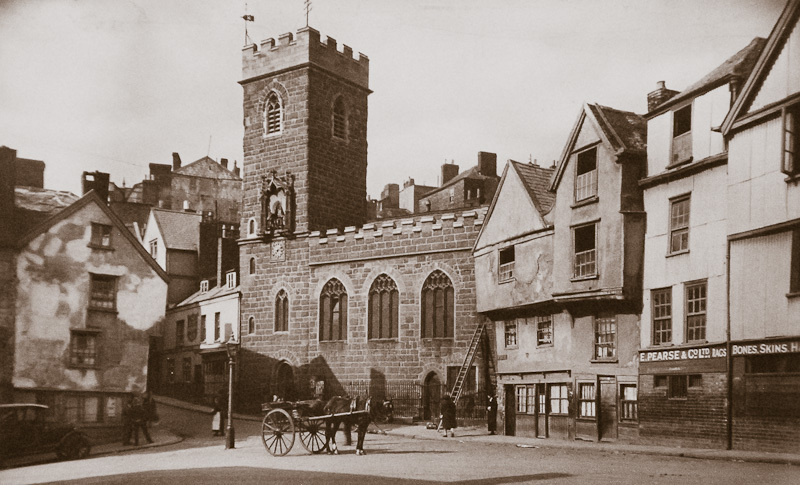 Many thanks to David Cornforth at Exeter Memories and Beverley Chamberlain from the Devon Family History Society web forum for information on Hawker marriages and baptisms at St Olave’s and St. Mary Steps. Can anyone tell me if Robert Hawker 1753-1827 had any daughters. I have a Robert Hawker Bowden who was the minister at Stoke Gabriel, Devon. I might be wrong but there seems to be a lot of similarities.?????? robert stephen hawker had 3 daughters by his second wife pauline anne Kuczynski. I am interested to establish if my family name has any relevance to James Hawker, Robert Hawker, Jacob Stephen his siblings and Robert Stephen Hawker. My great grandfather was Tom/Thomas Hawker and eventually resided in Newquay and work for the railway during the early 1900s and raised five children because his wife passed away when my grandfather was young. My grandfather was one of 4 and with an adopted brother! I am just trying to peace together family tree beyond my great grandfather! Could anyone assist please?